writes Victor Davis Hanson as the National Review columnist explains the popularity of Hillary Clinton, in America as well as abroad, in a nutshell. A Hillary presidency would [have given] the Clintons unprecedented Peronist-like power, in a manner unlike any couple in American history. 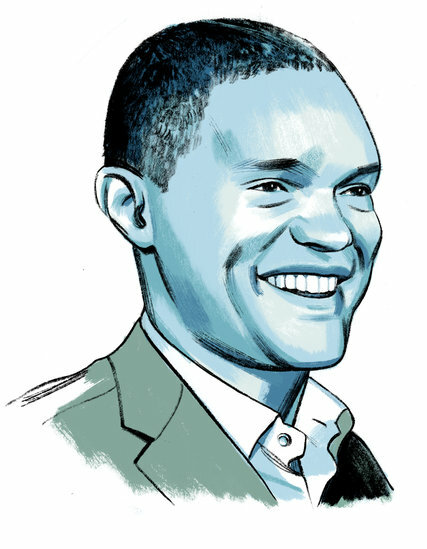 The Daily Show's Trevor Noah was drawn by Jillian Tamaki for an interview with the New York Times. … And now for a movie or TV show that has yet to be made: Tell us about your ideal adaptation of any book. Someone needs to make a movie about Shaka, the legendary Zulu king who warred across South Africa forging the modern Zulu nation. There’s battle, conquest, siblings turning on each other and murdering each other — it’s better than “Game of Thrones,” and it’s all true. … What kind of reader were you as a child? Which childhood books and authors stick with you most? I’d love for him to read my book, actually, if only to satisfy my curiosity of knowing what he thinks about it. I’ve always felt a connection with President Obama through our shared experiences of being mixed race and both having African roots. if California was more like the average Democratic state, Trump would currently have a 400,000 vote lead in the nationwide popular vote. … As IBD pointed out in a recent editorial, the Electoral College was specifically designed to prevent candidates from winning the presidency simply by appealing to a few heavily-populated, highly partisan regions of the country. The Electoral College forces candidates to compete nationwide if they want to be president. That's a good thing. Trump was right to say that, if the election were based on the popular vote, he'd have campaigned differently, particularly in states like California and New York where he had no hope of winning the popular vote but could have cut into Hillary's outsized margins and won more votes than her nationwide. Yes, the Electoral College occasionally produces the odd outcome where the popular vote winner is the election night loser. But without the Electoral College, abnormally partisan states like California could permanently dominate the nation's politics. The Electoral College is a unique institution, one that has functioned well to balance our nation's broad demographic and geographic interests. To destroy it would destroy what is special about our presidential elections. It's what has made our presidential successions so smooth and peaceful over more than 200 years, longer than any other comparable system for changing leadership in an orderly, democratic fashion. To begin with, from the 1787 crafting of our Constitution, our presidential elections were never designed to be popularity contests. They were designed to give the individual states a voice in who would lead them. There would have been no United States of America without this provision, since from the beginning the small states were terrified of being dominated and bullied by the bigger states if they joined the union. Imagine for a moment if there was no electoral college, and we decided our elections based solely on popular vote. California, New York, Florida, Texas and a handful of other heavily populated states would dominate. The smaller states would have no say. A popular mayor or governor in, say, California, might be able to cobble together enough votes to win without even being close to a majority of the votes. Dozens of smaller, less-populated states would have virtually no voice in what happened. They would soon be dominated by the highly populated coastal corridors and their mostly left-wing politics. The anger would soon explode, and you'd have secession movements springing up all over the country. Such a system would increase the rewards for voter fraud and cheating, and make our system rife with voter and legal challenges. Think 2000 was bad? We'd soon be acting like some of the chaotic, autocratic nations that we now look down upon if we got rid of the Electoral College. As author Robert Curry argues at the American Thinker, a president elected by popular vote "would in effect become the president of the big cities of America, and the last vestiges of political autonomy guaranteed the individual states by the Constitution's electoral system would be swept away." With our current system, candidates have to take even small states seriously. They have to run as national candidates, not as "California" or "New York" or "Florida" candidates. They have to learn what issues matter to everyone, not just a regional few. That, arguably, was Hillary Clinton's failure — she didn't listen to the angry middle-class voters in the Midwest and South who were suffering from economic changes, and wanted their voices heard. "Modern candidates have to accommodate farmers in rural states, factory workers in industrial states, and software engineers in tech-dominated states," writes Jarrett Stepman, an editor at the Heritage Foundation's DailySignal. "The president must consider the needs and opinions of people across the country instead of just the views of a few, highly populated urban centers." An American tries to explain Thanksgiving to the French. For four or five decades, this Art Buchwald column from the 1950s was printed every year in the (Paris-Based) International Herald Tribune, on the last Thursday of November. Le Jour de Merci Donnant was first started by a group of Pilgrims (Pélérins) who fled from l’Angleterre before the McCarran Act to found a colony in the New World ( le Nouveau Monde) where they could shoot Indians (les Peaux-Rouges) and eat turkey (dinde) to their hearts’ content. They landed at a place called Plymouth (now a famous voiture Américaine ) in a wooden sailing ship called the Mayflower (or Fleur de Mai) in 1620. But while the Pélérins were killing the dindes, the Peaux-Rouges were killing the Pélérins, and there were several hard winters ahead for both of them. The only way the Peaux-Rouges helped the Pélérins was when they taught them to grow corn (maïs). The reason they did this was because they liked corn with their Pélérins. In 1623, after another harsh year, the Pélérins’ crops were so good that they decided to have a celebration and give thanks because more maïs was raised by the Pélérins than Pélérins were killed by Peaux-Rouges. “Go to the damsel Priscilla ( allez très vite chez Priscilla), the loveliest maiden of Plymouth (la plus jolie demoiselle de Plymouth). Say that a blunt old captain, a man not of words but of action (un vieux Fanfan la Tulipe), offers his hand and his heart, the hand and heart of a soldier. Not in these words, you know, but this, in short, is my meaning. Although Jean was fit to be tied ( convenable à être emballe), friendship prevailed over love and he went to his duty. But instead of using elegant language, he blurted out his mission. Priscilla was muted with amazement and sorrow (rendue muette par l’étonnement et la tristesse). No one can deny that le Jour de Merci Donnant is a grande fête and no matter how well-fed American families are, they never forget to give thanks to Kilometres Deboutish, who made this great day possible. Neither side was focused on a national-popular-vote win, because both knew the rules. Just for starters, a lot more Republicans would’ve voted in California. They had no reason to turn out when everyone knew Clinton would carry the state — and the US Senate race was between two Democrats. It’s also just plain easier to vote in Democrat-dominated states; Oregon is entirely vote-by-mail. That runs up Dems’ national total, too. … Mind you, the Electoral College isn’t even remotely the most “anti-democratic” feature of our government: You could make a better case for that being the US Senate, the Supreme Court or even the states. Not to mention the Bill of Rights . . .
Heck, even the House of Representatives — the most “popular” part of the federal setup — is anti-democratic in key ways: The party that wins the most votes in House races nationwide often winds up scoring the minority of actual house seats. And the whole anti-democratic package is what has allowed us to keep it these 200-plus years. Let’s go back to “republic”: Democracy is all about majority rule; the word actually means “rule of the people.” A republic is about the self-rule of a nation of free people. The two words yield a lot of insight into the different thinking of Democrats and Republicans — why, one side loves early voting, vote-by-mail and such schemes, for example, while the other is more eager to honor the profound ritual of going out and casting the ballot on Election Day. This is much of why the “moral outrage” crowd outrages me: Because they generally don’t even recognize the existence of a different way of thinking, let alone understand it. Or, God forbid, grant it a shred of legitimacy — even though it’s the actual basis of our entire system. Look: The Founders were deeply worried about the perils of democracy — its historic instability, its record of oppressing the minority and other potential disasters. It’s not right to let the majority have its way on everything: Hence the Bill of Rights protections for free speech, a free press and so on. And full-on democracy — every citizen voting on every law, for example — just doesn’t work at large scale, or last long even on a small level. So we elect representatives to do the law-making, and break the country into states so that local decisions largely get made by locals. More, the Founders focused on creating a republic that would be stable (not static) and strong: They’d actually gathered for the Constitutional Convention because the government set up after the Revolution was neither. Yet not too strong: Small states didn’t want larger ones to call all the shots, so we got the Senate (where New York is equal to New Hampshire, etc.) to even the playing field. But here’s the biggest thing for the “morally outraged” to ponder: The whole system is set up to ensure that no single election decides all that much — particularly a “fluke” election like the one we’ve just had. Earth to Democrats: It ain't about race! The political class and the media are thinking about race. Because they always do. So as Donald Trump prepares to take office precisely because he convinced Americans that he is in tune with the same things that are on their minds, you have the astonishing spectacle of Barack Obama during his final overseas tour, warning that he doesn’t want to see America fall under a tribalist nationalism in which everyone sees themselves as members of their group rather than as part of a unified nation. You first, Mr. President. You first, Democrats. You first, media. I don’t exactly know how it came to be that the political class is quite so obsessed with race. 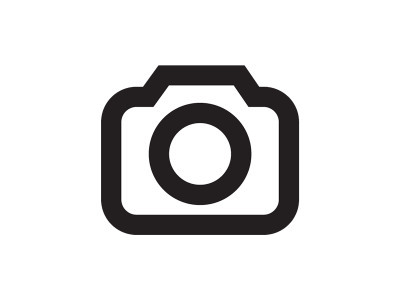 … I find that most of these issues really have very little to do with anyone’s skin color. Tax rates aren’t about skin color. Foreign defense alliances aren’t about skin color. Maintaining roads and bridges isn’t about skin color. Unless, of course, it’s in your political interests to insist that it is, because everything is about race. And that’s pretty much been the mantra of the left for the past several decades. When they can’t win an argument on substance, they scream racism. And when they’re having trouble defeating a Republican candidate, they manufacture a pretext for calling that person a racist even if any fair and objective assessment of him would suggest that he is not. … That said, if Obama is concerned about tribalist nationalism, where does he think it might be coming from? Here’s a thought: Maybe the people who are constantly categorizing people by skin color, nationality and gender have spurred an understandable instinct in people to defend who and what they are. When Hillary stood there weeks before the election and accused Trump supporters of being racists, sexists, homophobes and xenophobes, it may have had the effect of inspiring people to not only defend their character but also to defend the group from which they came. They might have never thought about it, or considered it very important, if Democrats and the media weren’t in their faces about it all the time. Maybe every time there’s a shooting that involves the police, America wouldn’t instinctively see it as a racial story . . . but for the fact that this is always the way the news media presents it. Who keeps bringing race into the conversation? Hmm? Do red state Americans and blue state Americans live in the same country anymore? —a jolting roller-coaster ride of scandals, vitriol and clashing world views. And it’s not over yet. As President-elect Donald Trump prepares to assume office the nation is smoldering with riots and miscellaneous mayhem. As a political junkie, I simply can’t avert my eyes. Sometimes I think that I should tune out for sanity’s sake but there’s just no off switch. This year has made me wish there were. Do red state Americans and blue state Americans live in the same country anymore? This has gone way beyond the donkey/elephant dichotomy. It’s white vs. black, professionals vs. the working class, rural vs. urban, makers vs. takers, and the faithful vs. secular humanists. Have we always been this divided? No. But have we ever been this divided? Yes. America has torn itself apart many times before. Between 1861 and 1865 the division was literal. Thank goodness we aren’t as divided now as we were then or else we’d be taking up arms. It’s usually a war that splits us—first the War of 1812, then the Mexican War, the Civil War, World War I to a lesser extent, and the Vietnam War. There are still plenty people alive today who can remember that last war (er, police action) and still bear its scars, literal and figurative. It was a time when the Greatest Generation asked their sons to march off to war just as they had—and many of their sons said no. Because I was not born until seven years after the last US troops left that country I did not realize how deeply that war affected my elders’ generation until I did some research on it for a book that never got published. The pain is still there, always lurking beneath the surface. It will die with the last baby boomer and not one second sooner. Memories of the Vietnam War were still very raw when I was a child in the 1980’s though I was blissfully unaware. President Reagan did a lot to stitch our national wounds when he delivered an address at Arlington National Cemetery on Memorial Day 1984 before the internment of a nameless Vietnam War serviceman at the Tomb of the Unknown Soldier. It was a moving speech that a lot of Vietnam veterans had waited a long time to hear. In short, he said thank you—something a lot of them were not accustomed to hearing. The Reagan era was “morning in America again” to borrow a phrase from Reagan’s 1984 campaign commercial. Though not explicitly mentioned in the ad, it was a reference to the Vietnam War as much as to the “malaise” of the Carter years. Suddenly it was okay again to be a proud American. With a common identity to bind us together, the near constant strife of the 60’s and 70’s finally abated. We disagreed on issues of course but we settled our differences like people from the same country rather than people from different solar systems. A taste of things to come arrived with the 2000 Florida recount. The national consensus of the 80’s and 90’s was starting to unravel because a significant portion of Americans truly believed that their candidate had been cheated of his rightful victory. They were wrong, of course—George W. Bush was never behind in the vote tally and the Supreme Court did not “select” him—but they really believed it. I suppose I’d be angry too if I labored under their misconception. Shortly thereafter came 9/11 and a brief period of national unity that I’m not convinced was ever genuine. Iraq tore us apart, as did drones, wiretapping, and Guantanamo. By the time the 2004 election rolled around I was sure we Americans were at the apex of acrimonious division. It couldn’t get any worse, right? How wrong I was. In 2008 we elected a man who ran on the twin slogans of “Hope” and “Change.” Half the population—the half that was still upset about the two previous presidential elections and “Bush’s wars”—swallowed these platitudes and were shocked when we didn’t. Barack Obama divided us further with his identity politicking, his arrogance, and his heavy-handed response to dissenting voices. By 2016 the nation was a powder keg. That’s the short history of how we got here. But how do we get out? I have no easy answers. The gap between the utopian Left and the traditionalist Right seems unbridgeable. … on the other side of the country, rioters were venting their rage through wanton destruction. Fearful that the election of Donald Trump would spell the dawn of fascism in America, they let loose their primal scream. I don’t mean to mock them as melodramatic—the overheated rhetoric (“fascist”) is theirs not mine. That’s the other America, the one I don’t know. It occurs to me that people on the Left might perceive my call to reconciliation as nothing but a sore winner’s luxury. Sure, now that my guy won let’s all stand together, right? There’s just one problem: Donald Trump is not “my guy.” Bobby Jindal was my guy until he dropped out and then Ted Cruz was my guy. Mr. Trump was never for one second “my guy.” I took joy in the final election result only because Hillary Clinton lost and because a lot of working stiffs were finally heard after years of being brushed aside. But perhaps there’s a kernel of truth to the idea that the winners always call for rapprochement simply because they’re the winners. To dissenters, “national unity” always seems like a con job and sometimes they’re right. It can be a polite but disingenuous way of telling others to get in line. It certainly felt that way to me when the triumphalist Barack Obama took office in 2009 with his “elections have consequences” rhetoric. He steamrolled us and shamed us for speaking up with what little voice we had left. We were “obstructionists” and worse, racists. Yet the opposition wanted us to come together around the president so we could get to work fixing our nation’s problems—all of which were Bush’s fault, naturally. All I can say to those who hear a coded message in this article (“shut up”) is that I don’t mean it that way. I’d like to talk to my countrymen again and I don’t mean shouting across the barricades. Perhaps one way to do that is to revive the principles of federalism so that red states can be free to be “bitter clinger” territory and blue states Prius-land. It will mean that the federal government, and particularly the judiciary, will have to restrain itself and desist from their outlandish definitions of “interstate commerce” and “equal protection,” two phrases that have been misconstrued to gut our ability to craft policy close to home. If that doesn’t work, or if people aren’t even willing to try, I wouldn’t be opposed to a cordial divorce. If a few states have to secede from the Union (California? Texas? Oregon? Hawaii?) to make this life in this country bearable again, that’s a price I’d be willing to pay. America is two very different countries within the borders of one nation and it will probably remain that way for the foreseeable future. Between 2011 and 2015, the number of Frenchmen learning how to shoot has risen by 38% and, needless to say, the politically correct climate makes member of the élites deny any link with the terrorist attacks. … la Fédération française de tir (FFT) et son président, Philippe Crochart, réfutent un quelconque lien entre le climat post-attentat et l'augmentation du nombre d'adhérents: ils étaient 145.365 en 2011 et ont dépassé les 201.450 tireurs en 2015, soit une augmentation de 38%. Pourtant, des Français inquiets et souhaitant s'armer, il en existe. Et ils sont nombreux, à en croire la relative popularité de l'Arpac, l'Association pour le rétablissement du port d'arme citoyen, rassemblant près de 15.000 personnes sur sa page Facebook. L'un de ses représentants se fait appeler Pierre Bourguignon. Il garantit: «Beaucoup de Français sont inquiets depuis le Bataclan et Nice. Leur revendication est plus assumée. Ces personnes ne souhaitent pas rivaliser avec la police mais ils ont conscience que ces dramatiques événements vont se répéter et ils ne se sentent pas assez protégés.» Édouard, l'administrateur de la page Facebook «Droit de porter des armes» depuis quatre ans, explique que, depuis les attentats de novembre 2015, le nombre de ‘likes' a été multiplié par trois sur sa page, pour dépasser les 16.000. L'Arpac milite notamment pour faire reconnaître «le droit naturel à se défendre», et espère faire évoluer la législation vers l'autorisation du port de l'arme à feu dans l'espace public, sous condition d'une formation théorique et d'une pratique égale à celle dont bénéficie la police (avec notamment une obligation de passage au centre de tir). Et Pierre Bourguignon d'évoquer l'assassinat de Charb. Le dessinateur de Charlie Hebdo, qui pratiquait le tir sportif, avait réclamé, sans succès, l'autorisation de porter une arme.